Kraftwerk Were formed by Florian Schneider (flutes, synthesizers, violin) and Ralf Hütter (organ, synthesizers) who met as students at the Robert Schumann Hochschule in Düsseldorf in the late 1960s, participating in the German experimental music and art scene of the time, which the Melody Maker jokingly dubbed “krautrock”. The duo originally performed together as part of a quintet known as Organisation. This ensemble released one album, Tone Float in 1969, issued on RCA Records in the UK, and split shortly thereafter. Schneider became interested in synthesizers deciding to acquire one in 1970. While visiting an exhibition in their hometown about visual artists Gilbert and George, they saw “two men wearing suits and ties, claiming to bring art into everyday life. The same year, Hütter and Schneider start bringing everyday life into art and form Kraftwerk”. During the 1970’s Hütter and Schneider worked with around a half-dozen other musicians during the preparations for and the recording of three albums and sporadic live appearances, most notably guitarist Michael Rother and drummer Klaus Dinger, who left to form Neu! The only constant figure in these line-ups was Schneider, whose main instrument at the time was the flute; at times he also played the violin and guitar, all processed through a varied array of electronic devices. Hütter, who left the band for eight months, played synthesizer and keyboards (including Farfisa organ and electric piano). Their first three albums were free-form experimental rock without the pop hooks or the more disciplined song structure of later work. Kraftwerk, released in 1970, and Kraftwerk 2, released in 1972, were mostly exploratory musical improvisations played on a variety of traditional instruments including guitar, bass, drums, organ, flute, and violin. Post-production modifications to these recordings were used to distort the sound of the instruments, particularly audio-tape manipulation and multiple dubbings of one instrument on the same track. Both albums are purely instrumental. Live performances from 1972 to 1973 were made as a duo, using a simple beat-box-type electronic drum machine, with preset rhythms taken from an electric organ. These shows were mainly in Germany, with occasional shows in France. Later in 1973, Wolfgang Flür joined the group for rehearsals, and the unit performed as a trio on the television show Aspekte for German television network ZDF. The release of Autobahn in 1974 saw Kraftwerk moving away from the sound of its first three albums. Hütter and Schneider had invested in newer technology such as the Minimoog and the EMS Synthi AKS, helping give Kraftwerk a newer, “disciplined” sound. Autobahn was a huge success in the US, where it peaked at number 5 in the Billboard top 200, Hütter and Schneider updated their studio, thus lessening their reliance on outside producers. The painter and graphic artist Emil Schult also became a regular collaborator, designing artwork, cowriting lyrics, and accompanying the group on tour. in 1975 Kraftwerk embarked on a multi-date tour to promote the Autobahn album, a tour which took them to the US, Canada and the UK for the first time. The tour also saw a new, stable, live line-up in the form of a quartet. Hütter and Schneider continued playing keyboard synthesizers such as the Minimoog and ARP Odyssey, with Schneider’s use of flute diminishing. The pair also started singing live for the first time, Schneider processing his voice with a vocoder live. Wolfgang Flür and new recruit Karl Bartos performed on self-built electronic percussion instruments. Bartos also used a Deagan vibraphone on stage. The Hütter-Schneider-Bartos-Flür formation is now regarded as the classic live line-up of Kraftwerk. Emil Schult generally fulfilled the role of tour manager. Following the 1975 Autobahn tour, Kraftwerk began work on the follow-up album, Radio-Activity (German title: Radio-Aktivität). After further investment in new equipment, the Kling Klang Studio became a fully working recording studio. With Emil Schult working on artwork and lyrics, Kraftwerk began to compose music for the new record. Radio Active Saw Kraftwerk become even more popular in Europe, earning them a gold disc in France. Kraftwerk made videos and performed several European live dates to promote the album. With the release of Autobahn and Radio-Activity, Kraftwerk left behind avant-garde experimentation and moved towards the electronic pop tunes for which they are best known. In 1976, Kraftwerk toured in support of the Radio-Activity album. David Bowie was among the fans of the record and invited the band to support him on his Station to Station tour. Despite some innovations in touring, Kraftwerk took a break from live performances after the Radio-Activity tour of 1976 and began recording Trans-Europe Express (German: Trans-Europa Express) at the Kling Klang Studio. Hütter and Schneider also met David Bowie at the Kling Klang Studio. A collaboration was mentioned in an interview (Brian Eno) with Hütter, but it never materialised. The release of Trans-Europe Express in March 1977 was marked with an extravagant train journey used as a press conference by EMI France. 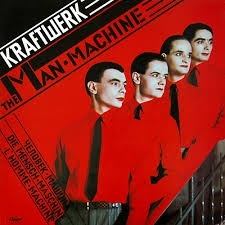 The album won a disco award in New York later that year.In May 1978 Kraftwerk released The Man-Machine (German: Die Mensch-Maschine), recorded at the Kling Klang Studio and was the first Kraftwerk album where Karl Bartos was cocredited as a songwriter. The cover, produced in black, white and red, was inspired by Russian artist El Lissitzky and the Suprematism movement. Gunther Frohling photographed the group for the cover, a now-iconic image which featured the quartet dressed in red shirts and black ties. In May 1981 Kraftwerk released Computer World (German: Computerwelt) recorded at Kling Klang Studio between 1978 and 1981. Kraftwerk modifiedthe studio to make it portable so the band could take it on tour. Some of the electronic vocals on Computer World were generated using a Texas Instruments language translator. “Computer Love” was released as a single backed with the Man-Machine track “The Model”. The Model reached number one in the UK and the Man-Machine album became hugely successful in the UK in 1982 as a result.The band’s live set encorporated greater use of vocals and the use of sequencing equipment for both percussion and music. In contrast to their cool and controlled image, the group used sequencers interactively, which allowed for live improvisation. Ironically Kraftwerk did not own a computer at the time of recording Computer World. In 1981 Kraftwerk embarked on the Computer World tour and effectively packed up their entire Kling Klang studio and took it with themThey also made greater use of live visuals including back-projected slides and films synchronized with the music as the technology developed, the use of hand-held miniaturized instruments during the set (for example, during “Pocket Calculator”), and, perhaps most famously, the use of replica mannequins of themselves to perform on stage during the song “The Robots”. In 1982 Kraftwerk began work on the album Techno Pop. One of the songs from these recording sessions was “Tour de France”, released in 1983. This song was a reflection of the band’s new-found obsession for cycling. After the physically demanding Computer World tour, Ralf Hütter had been looking for forms of exercise that fitted in with the image of Kraftwerk; subsequently he encouraged the group to become vegetarians and take up cycling. ” the song Tour de France” was also released, this included sounds including bicycle chains, gear mechanisms and the breathing of the cyclist. “aTour de France” was also featured in the 1984 film Breakin’. Sadly During the recording of “Tour de France”, Ralf Hütter was involved in a serious cycling accident. He suffered head injuries and remained in a coma for several days. During 1983 Wolfgang Flür was beginning to spend less time in the studio. Since the band began using sequencers his role as a drummer was becoming less frequent. He preferred to spend his time travelling with his girlfriend. Flür was also experiencing artistic difficulties with the band. After his final work on the 1986 album Electric Café (a.k.a. Techno Pop) he hardly returned to the Kling Klang Studio. In 1987 he left the band and was replaced by Fritz Hilpert. During 1990 Kraftwerk played a few secret shows in Italy. Karl Bartos left the band shortly afterwards. The next proper tour was in 1991, for the album The Mix. Hütter and Schneider wished to continue the synth-pop quartet style of presentation, and recruited Fernando Abrantes as a replacement for Bartos. Abrantes left the band shortly after though, so long-time Kling Klang Studio sound engineer Henning Schmitz was recruited. In 1997 Kraftwerk appeared at the dance festival Tribal Gathering held in England. In 1998, Kraftwerk also toured the US and Japan Brazil and Argentina. In July 1999 the single “Tour de France” was reissued featuring slightly altered artwork. In 1999 Wolfgang Flür published his autobiography in Germany, Ich war ein Roboter. Later English-language editions of the book were titled Kraftwerk: I Was a Robot. The single “Expo 2000” was released in 1999 and was remixed and re-released as “Expo Remix” in 2000. In 2003 Kraftwerk released the Tour de France Soundtrack, the first album of new material since 1986’s Electric Café and embarked on an extensive Minimum-Maximum world tour, using four customised Sony VAIO laptop computers, effectively leaving the entire Kling Klang studio at home in Germany. The group also obtained a new set of transparent video panels to replace its four large projection screens. This greatly streamlined the running of all of the group’s sequencing, sound-generating, and visual-display software which replaced manual playing With an interactive control of sequencing equipment. Hütter retained the most manual performance, still playing musical lines by hand on a controller keyboard and singing live vocals. Schneider’s live vocoding had been replaced by software-controlled speech-synthesis techniques. In 2003 the group made a surprising appearance at the MTV European Music Awards in Edinburgh, Scotland, performing “Aerodynamik”. The same year a promotional box set entitled 12345678 (subtitled The Catalogue) was issued, featuring remastered editions of the group’s eight core studio albums, from Autobahn to Tour de France Soundtracks. In June 2005 the band’s first-ever official live album, Minimum-Maximum,was released. compiled during the band’s tour of spring 2004 and containing reworked tracks from existing studio albums, plus a track titled “Planet of Visions” that was a reworking of “Expo 2000”. Kraftwerk also toured Serbia, Bulgaria, Macedonia, Turkey, and Greece. and performed at festivals in Norway, Ireland, the Czech Republic, Spain, Belgium, and Germany. In 2008 the group played three shows in US cities Minneapolis, Milwaukee, and Denver, and were a coheadliner at the Coachella Valley Music and Arts Festival. They also performed in Ireland, Poland, Ukraine, Australia, New Zealand, Hong Kong and Singapore.The touring quartet consisted of Ralf Hütter, Henning Schmitz, Fritz Hilpert, and video technician Stefan Pfaffe, who became an official member in 2008. Original member Florian Schneider was absent from the lineup. Hütter stated that he was working on other projects. In 2008 Florian Schneider also left Kraftwerk. In 2009, Kraftwerk performed concerts with special 3D background graphics in Wolfsburg, Germany; Manchester, UK; and Randers, Denmark. Members of the audience were able to watch this multimedia part of the show with 3D glasses, which were given out. During the Manchester concert (part of the 2009 Manchester International Festival) four members of the GB cycling squad (Jason Kenny, Ed Clancy, Jamie Staff and Geraint Thomas) rode around the Velodrome while the band performed “Tour de France”. The group also played several festival dates, including Bestival 2009 on the Isle of Wight. Kraftwerk finally released The Catalogue box set on containing all eight remastered CDs in cardboard slipcases, as well as LP-sized booklets of photographs and artwork for each individual album. Ralf Hütter suggested that a second boxed set of their first three experimental albums—Kraftwerk, Kraftwerk 2 and Ralf and Florian could be released. Kraftwerk also released an iOS app called Kraftwerk Kling Klang Machine. The Lenbach House in Munich exhibited some Kraftwerk 3-D pieces in Autumn 2011. Kraftwerk performed three concerts to open the exhibit. In 2012 Kraftwerk played at Ultra Music Festival in Miami and The Museum of Modern Art of New York organized an exhibit titled Kraftwerk – Retrospective 1 2 3 4 5 6 7 8 where the band performed their studio discography from Autobahn to Tour de France over the course of eight days to sell-out crowds. Kraftwerk performed at the No Nukes 2012 Festival in Tokyo, Japan and the Way Out West in Gothenburg., Kraftwerk stated that they would be playing their Catalogue in Düsseldorf and at London’s Tate Modern. Kraftwerk tickets were priced at £60 in London, but angry fans compared that to the $20 ticket price for tickets at New York’s MoMA in 2012. Kraftwerk also performed the eight albums of The Catalogue in Sydney, Kraftwerk also performed at the 47th Montreux Jazz Festival, plus a 3-D concert on 12 July at T in the Park – in Balado, Kinross, Scotland, at tge Latitude Festival in Suffolk, and the Longitude Festival in Dublin. In 2013 Kraftwerk played four concerts, over two nights, at Evoluon in Eindhoven, Netherlands, a former technology museum of Philips Electronics, now a conference center which was chosen by Ralf Hütter, for its retro-futuristic UFO-like architecture. visuals of the building, with flying saucers descending from space, were displayed during the rendition of Spacelab.In 2014, Kraftwerk performed a four-night, 3D Catalogue tour at the Walt Disney Concert Hall in Los Angeles and NYC’s United Palace Theatre. They also played at the Cirkus in Stockholm, Sweden, at the music festival Summer Sonic in Tokyo, Japan, at the brand new Fondation Louis-Vuitton in Paris, France and the iconic Paradiso concert hall in Amsterdam, Netherlands. After being told that the 2015 Tour de France would be starting that year in Utrecht, Ralf Hütter decided that Kraftwerk would perform during the “Grand Depart”.Kraftwerk also played three concerts in TivoliVredenburg performing “Tour de France Soundtracks” and visited the start of the Tour in-between. In 2017, Kraftwerk announced 3-D The Catalogue, a live album and video documenting performances of all eight albums in The Catalogue that was released 26 May 2017. It is available in multiple formats, the most extensive of which being a 4-disc Blu-ray set with a 236-page hardback book. English musician and songwriter. Terence Michael Joseph “Geezer” Butler was born 17 July 1949. Butler is best known as the bassist and primary lyricist of the heavy metal band Black Sabbath. He has also recorded with Heaven & Hell, GZR, and Ozzy Osbourne. Butler received the nickname “Geezer” because he “used to call everybody Geezer” at school. “It was just a slang term for a man.” Butler was heavily influenced by the writing of Aleister Crowley as a teenager. Butler formed his first band, Rare Breed, in the autumn of 1967, with John “Ozzy” Osbourne soon joining as lead vocalist. Butler dated a girl who lived near Tony Iommi, and Iommi’s earliest memories of Butler involved seeing him walking past his house in Birmingham quite often to visit her. Later, Iommi and Butler became acquainted when their bands played at a nearby nightclub Separated for a time, Osbourne and Butler reunited in the blues foursome, Polka Tulk, along with guitarist Iommi and drummer Bill Ward. They renamed their band Earth, but after finding a band in the small-time English circuit with the same name, soon adopted Black Sabbath in early 1969. Butler briefly left Black Sabbath during the recording of their 1980 album Heaven and Hell to deal with personal problems and left again in 1984 after touring in support of their 1983 album, Born Again. In 1988 he joined his former Sabbath bandmate Osbourne to take part in the No Rest for the Wicked World Tour. Butler re-joined Black Sabbath in 1991 for the reunion of the Mob Rules line-up, but again quit the group after the Cross Purposes tour in 1994. In 1995 Butler joined with Osbourne to play on the Ozzmosis album. After recording Ozzmosis, he formed G/Z/R, issuing Plastic Planet in 1995. His next solo album, Black Science, followed in 1997. Butler returned to Sabbath once more for the 1997 edition of Ozzfest, and has remained with the band since. In 2005 he released Ohmwork, his third solo album. In October 2006 it was announced that Butler, along with Tony Iommi, would be reforming the Dehumanizer-era Black Sabbath line-up with Vinny Appice and Ronnie James Dio, under the name Heaven & Hell to differentiate between the reunited touring band fronted by Osbourne, and the current Sabbath line-up He recorded and toured for the album “13” (2013) and the subsequent tour, reaching an end for the final tour in 2017. World Day for International Justice, also referred to as Day of International Criminal Justice or International Justice Day is an international day celebrated throughout the world on July 17 as part of an effort to recognize the emerging system of international criminal justice. July 17 was chosen because it is the anniversary of the adoption of the Rome Statute, the treaty that created the International Criminal Court. 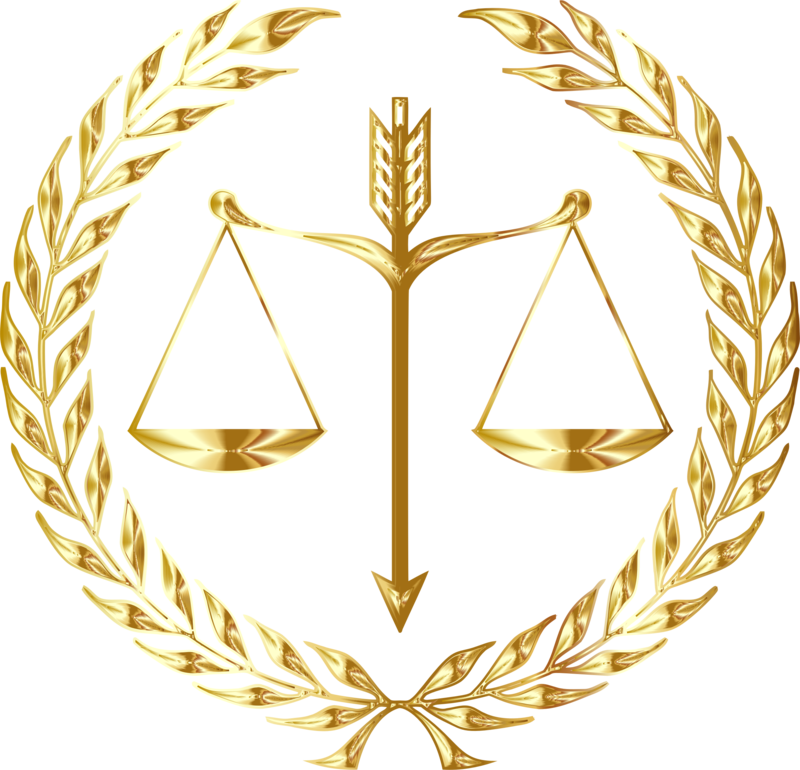 On 1 June 2010, at the Review Conference of the Rome Statute held in Kampala (Uganda), the Assembly of State Parties decided to celebrate 17 July as the Day of International Criminal Justice. The Rome Statute was adopted at a diplomatic conference in Rome on 17 July 1998 and it entered into force on 1 July 2002. As of March 2016, 124 states are party to the statute. Among other things, the statute establishes the court’s functions, jurisdiction and structure. The Rome Statute established four core international crimes: genocide, crimes against humanity, war crimes, and the crime of aggression. Those crimes “shall not be subject to any statute of limitations”. Under the Rome Statute, the ICC can only investigate and prosecute the four core international crimes in situations where states are “unable” or “unwilling” to do so themselves. The court has jurisdiction over crimes only if they are committed in the territory of a state party or if they are committed by a national of a state party; an exception to this rule is that the ICC may also have jurisdiction over crimes if its jurisdiction is authorized by the United Nations Security Council. The word can be traced back to the Yiddish word “farginen” (a cognate of the German word “vergönnen”). A relatively modern addition to Hebrew, the word was initially used in the 1970s, and gained momentum in subsequent decades. According to Tamar Katriel, professor of communications in the University of Haifa, Firgun differs from giving compliments, since is “about an affinity that is authentic and without agenda”. The concept of firgun can be found in Talmudic Hebrew as “ayin tova” or “ayin yafa” – “a good eye”. Those phrases are not commonly used in modern Hebrew. World Emoji Day is celebrated annually on July 17. The day is deemed a “global celebration of emoji” and is primarily celebrated online. 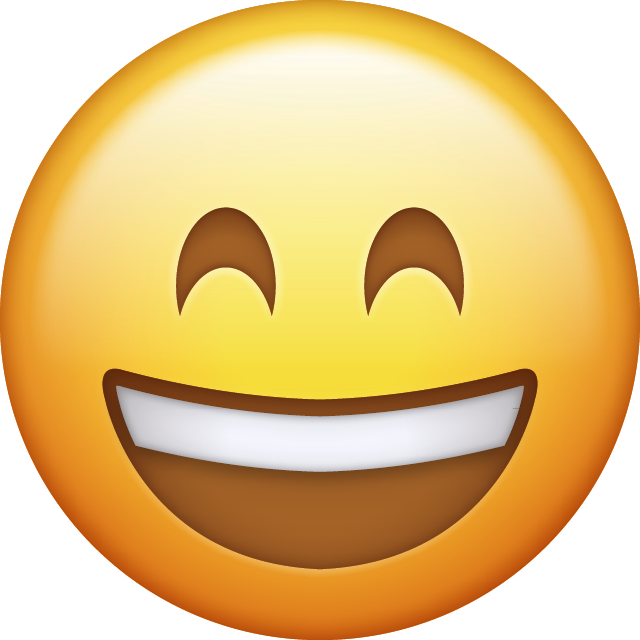 World Emoji Day is “the brainchild of Jeremy Burge” according to CNBC who stated that “London-based founder of Emojipedia created it” in 2014. The New York Times reported that Burge created this on July 17 “based on the way the calendar emoji is shown on iPhones” For the first World Emoji Day, Burge told The Independent “there were no formal plans put in place” other than choosing the date. Google changed the appearance of Unicode character U+1F4C5 📅 CALENDAR to display July 17 on Android, Gmail and Hangouts products in 2016 On World Emoji Day 2015, Pepsi launched PepsiMoji which included an emoji keyboard and custom World Emoji Day Pepsi cans and bottles. These were originally released in Canada, and expanded to 100 markets in 2016. Sony Pictures Animation used World Emoji Day 2016 to announce T. J. Miller as the first cast member for The Emoji Movie. Google released “a series of new emoji that are more inclusive of women from diverse backgrounds and all walks of life”,and Emojipedia used July 17 to launch the first World Emoji Awards. Other companies that made emoji-related announcements on World Emoji Day 2016 included Google, Disney, General Electric, Twitter, and Coca-Cola.